With the release of the Samsung’s new Gear 360 camera, it was expected that the first-generation camera’s price tag would have heavily reduced and so, that has finally come to pass. However, if you check the pricing right now, it is definitely astonishing to see that the gadget’s retail price has been reduced drastically to the point where it exudes terrific value for the user. 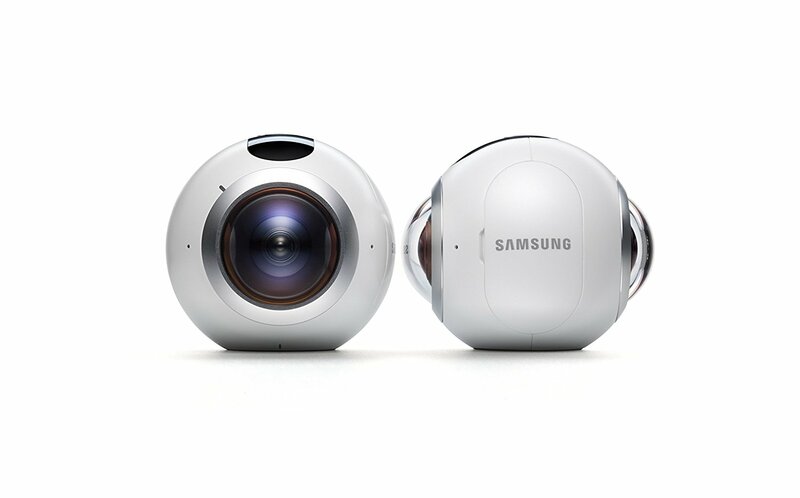 Amazon has another terrific deal for you guys and it comes in the form of Samsung’s first-generation Gear 360 camera. Coming at a price of less than $170, this marks a saving of $180+ for you, making the camera a great value for money. If you pair the gadget with a Samsung smartphone, it will turn into a very convenient experience for the end-user. One thing you will have to be careful of is that the camera is IP53 water-resistant, meaning that you should keep it away from bodies of water and dust as much as possible. Given below are some features of the Gear 360 camera. Camera shoots 3840 x 1920 high-resolution videos. microSD card (sold separately) required to operate. Supports up to 256GB. Class 10 recommended. IP53 splash and dust resistance. Gear 360 Manager app is compatible with Galaxy S7, Galaxy S7 edge, Galaxy Note5, Galaxy S6 edge+, Galaxy S6, Galaxy S6 edge, and future Galaxy devices. Would you purchase the Gear 360 now that it comes with a terrific value attached to it? Tell us your thoughts down in the comments.